Filed to: Secure the bag?Filed to: Secure the bag? Starting today, for reasons that are not entirely clear to (*squints at notes*) anyone, you can catch former Democratic National Committee Chair Donna Brazile on Fox News. The announcement came from Fox on Monday morning. According to Variety, Brazile will provide the “news” network with political analysis across several Fox platforms, including Fox News Channel and Fox Business Network’s programs. 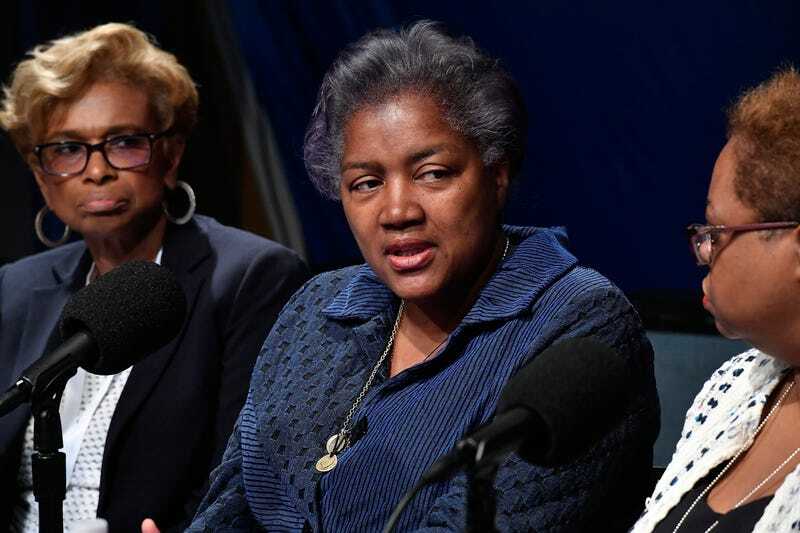 Brazile, a former CNN contributor, left Fox’s rival in 2016 amid allegations that she leaked questions from a Democratic town hall to Hillary Clinton’s campaign. The former Secretary of State debated Vermont Senator Bernie Sanders at the event. In a written statement released today, the veteran Democratic strategist said she knew “my friends in the progressive movement” would criticize her for being on the conservative cable news network, which has functionally operated as a state TV network during the Donald Trump presidency. Brazile offered that she wasn’t going to pull any punches on the network. “I’m going to do what I always do: and dish it out straight, exactly as I see it, with just as much New Orleans hot sauce as folks expect,” she said. An even spicier idea may be to not yourself up as a prop for a news organization that has no real, sustained interest in providing a counter-narrative to Trump’s propaganda, but what do I know? I’m not the strategist here. Brazile will make her debut this afternoon on The Daily Briefing with Dana Perino at 2 p.m. EST.